Literally born in a recording studio in a quaint studio apartment in Chennai, Aditya has the flair and passion for anything audio, music and technology in his blood. After school, he used to sit in on recordings conducted by his father Vijay Modi for artists such as AR Rahman amongst others working on jingles. This was his pass time. Graduated with a Recording Arts Degree from Full Sail University, he then moved to LA and was practicing as a DJ, which bored him too soon. India calling, he moved to Mumbai where he assisted Sound Engineering legend Daman Sood, along with Avinash Oak. Here he really got trained on extensive analog recording techniques for large orchestra or singular vocals alike. He worked with Jagjit Singh, Lata Mangeshkar, Asha Bhosale, Pandit Jasraj, Pankaj Udhas, Naushaad Ali, Abida Parveen and almost every great one could think of in the Indian music industry. From here, home calling – he moved back to Chennai. This was his big break, as it was an offer from the Maestro himself – AR Rahman. Having worked on almost every AR Rahman film and project since 2001 – he shares an excellent rapport with him today, and manages most of Rahman’s Mumbai operations. Aditya moved on to setting up two of his own recording, mastering and mixing facilities in Mumbai, alongside running a Pro Audio consultancy and distribution business with offices in Mumbai, Chennai, Hyderabad and Bangalore. Currently he has either designed, constructed, consulted or installed technology for over 250 studios / home theaters / churches / hotels / education institutions pan India. 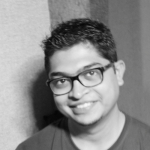 He is also the creative producer for AR Rahman’s live shows and theater productions, technical writer for various publications and has hosted various seminars for various educational institutions that teach Music / Audio. Modi Digital was formed to offer premium recording studio design and undertake complete audio install projects, pro audio equipment distribution, technical designing, acoustic designing and after sales support to the audio industry.